Since 1992 Medicana Health Group is continuing its path towards establishing the health standards of the future. Today with 12 hospitals and more than 6000 employees, it carries out high standards of health care, mainly in Istanbul and Ankara, Konya, Samsun, Sivas and Bursa. Medicana Health Group pioneered health tourism in Turkey and has become one of the most important centers in the treatment of multidisciplinary health care patients. In order to provide sustainable health services, it opened service offices in important regions of the world. Medicana Health Group hospitals; With the priority of patient safety, effective and high quality patient care and treatment, Medicana Health Group hospitals serve the equal quality with the world’s leading institutions and are in full compliance with Joint Commission International (JCI) accreditation standards and MoNE Service Quality Standards (SHKS). 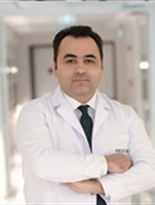 The Medicana Health Group, which works at international standards to provide health services to all segments of the society, and to improve patient satisfaction through a transparent, reliable and compassionate patient approach, has been chosen as one of the most valuable brands in Turkey, and has become the favorite healthcare institution of the patients many times with its quality and service delivery. Medicana Health Group works with the aim of becoming an institution that continuously improves its efficiency with a vision that follows the modern, advanced technology infrastructure and developments by monitoring the development of health services in Turkey and around the world, with internationally recognized standards, methods and applications to host the site and aims to provide to their patients. Prof. Dr. Yavuz Basterzi started his medical education in one of the most well-known university in Turkey, Gazi University in 1991. In 1997, he completed his medical degree and obtained the title of Doctor of Medicine. By completing his specialization between the years of 1998-2003 he became Plastic Reconstructive and Aesthetic Surgeon. Prof. Dr. Basterzi has been published a total of 40 articles, 33 of which are in international and 8 in journals. In addition, 2 book chapters and 3 book chapters were published in local and foreign books. He presented 82 scientific presentations in national and international scientific meetings. Dr. Serif Yavuz specializes in rhinoplasty, breast surgeries and liposuction. He performs his surgeries at JCI accredited Medicana Kadikoy Hospital and thanks to his years of experience his patients are very pleased with his communication skills and surgery results.